​Hexham's pretty and historic 19th Century railway station provides rail links East and West along the Tyne Valley. 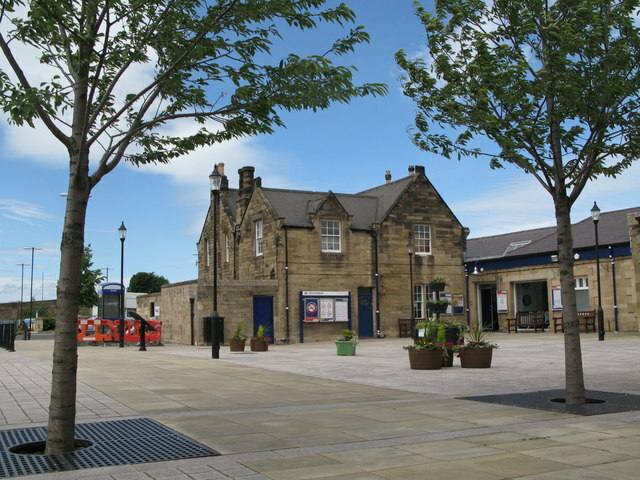 Opened in 1835, Hexham Railway station is one of the oldest railway stations in the world, built to link the lead mines of the North Pennines to the Tyne docks at Blaydon. The buildings and platform are very attractive and the station was included the 2017 book, Britain's 100 Best Railway Stations, by Simon Jenkins. Today, Hexham Station offers regular passenger rail services East and West between Newcastle and Carlisle and beyond. Read more about the station facilities here.